We are not just any other moving company. 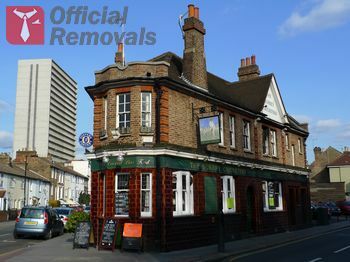 We are a team of professional removalists who specialize exclusively in office removals in Croydon. So, if your business needs to be relocated quickly, safely and on a competitive price that will fit even the tightest budget, you have only one adequate option to choose and this is namely us. Croydon office removals are made easy by our impeccable working methods, our state of the art equipment and the responsibility and reliance of our staff, consisting of only the best office movers who have ever operated in the territory of Croydon. Since we are not only offering office removal services exclusively, but also our area of operation is Croydon only, our strategies, tools and methods are suited perfectly to provide you with an high efficiency and yet inexpensive service. We have worked hard to optimize our methods and cut down transportation costs to a minimum. As a result, you will not find more competitive prices for office removal services anywhere in the area. Low price does not come at the cost of low quality with us. Our employees are trained to work up to the highest standards of our industry. We constantly receive positive feedback from our clients who are always satisfied with the service they have received and that is actually the best compliment for our efforts that we can get. We will consider your business’ special needs and of course you will be able to choose the time for the office removal to take place that will be most comfortable for you and your business. If you have any questions just inform us. We will more than happy to answer them. We always work according to the individual plan that we have tailored for our client so it is certain that all your preferences and requirements will be taken in consideration while we are conducting our work. For questions, booking and free no obligation quotes, contact us on the phones we have provided or drop us a message on our e-mail address. We would be happy to be at your service in any way.